He graduated in 1967 from Miami University with a zoology degree. A 1974 graduate of Ohio State University College of Veterinary Medicine, Dr. Belue was an Air Force Veterinarian at Wright-Patterson AFB. He separated from Air Force and settled in Dayton. He began teaching science at Dayton Christian School in 1979. 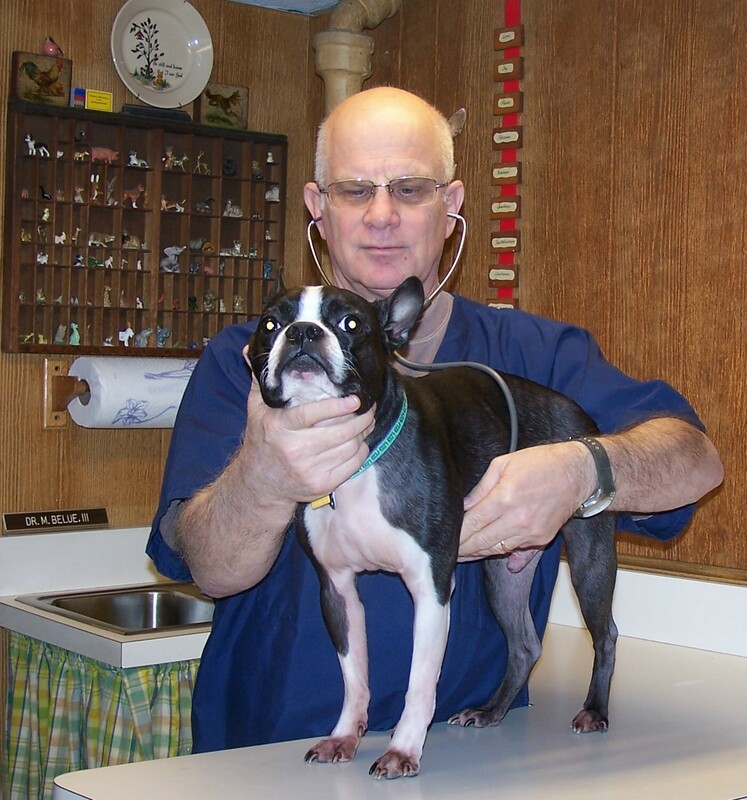 He opened Five Oaks Mobile Pet Clinic in 1980, doing appointments in the evening and on Saturdays. Dr. Belue retired from teaching in 2011 and has been doing full time veterinary work since then.